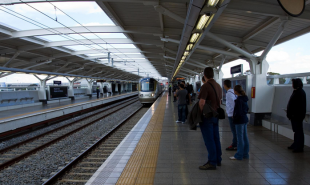 Commuters often find themselves delayed en route to work, through no fault of their own, due to delays on public transport. In South Africa, workers can receive letters confirming disrupted services in order that they are not reproached for tardiness that is truly out of their hands. Previously, they would have had to stand in long queues to receive the written proof, but now travel app GoTravel have launched a new feature called Email My Boss, which enables users to request an email ‘late-note’ via their mobile phone. Users simply visit the GoMetro site and click on the Email My Boss button. They then have to fill in some simple details including their name, their boss’ name and email and the line they are travelling on. The service can even be used when there is no internet connection via a USSD number. Once a request is made, an individual email is sent to the user’s employer detailing the specific train delay information. Email My Boss is currently available to commuters on the Western Cape but will be expanded into other regions of South Africa very soon. Could this system be used in other major cities around the world?